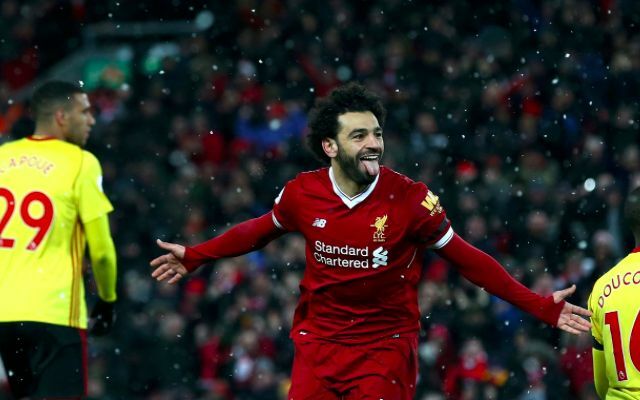 Mohamed Salah’s pursuit of the Premier League scoring record promises to be a sub-story to a decisive final-day clash with Brighton. Whilst Liverpool seek a win to secure a top-four finish, their top-scorer needs just one goal to reach 32 and break the record for the highest individual tally in a 38-game campaign. Salah is currently level with Luis Suarez, Cristiano Ronaldo and Alan Shearer on 31, with the latter also holding the joint-record with Andy Cole for the most goals in a 42-game season with 34. Though the focus will be three points in the hunt for Champions League qualification, Liverpool will also be striving to help Salah reach another landmark figure. Jurgen Klopp has revealed the Egyptian will likely be on penalty duties having shared the responsibility with James Milner this season. Salah finds himself facing late competition for the Golden Boot from a determined Harry Kane, who enters Tottenham’s final game against Leicester City on 28 goals. Liverpool’s talismanic forward is without a goal in his last two league outings, evidently fatigued in the draw against Stoke and defeat to Chelsea. With a week-long break, however, the 25-year-old should be back to full fitness in time to launch one final effort.